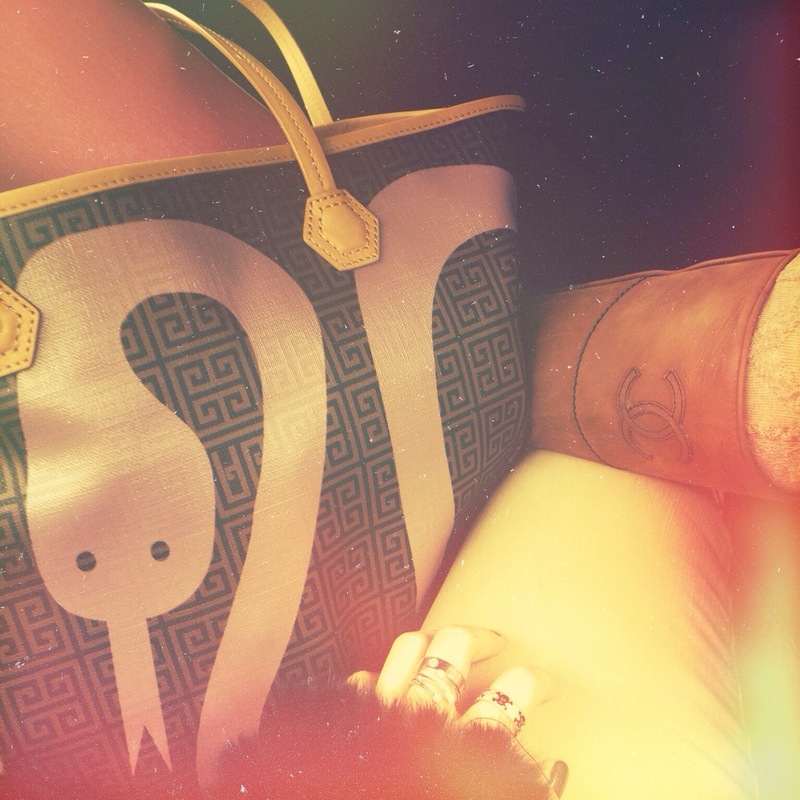 On the way to work with a fun Jonathan Adler bag and Chanel riding boots! Perfect for the workday! 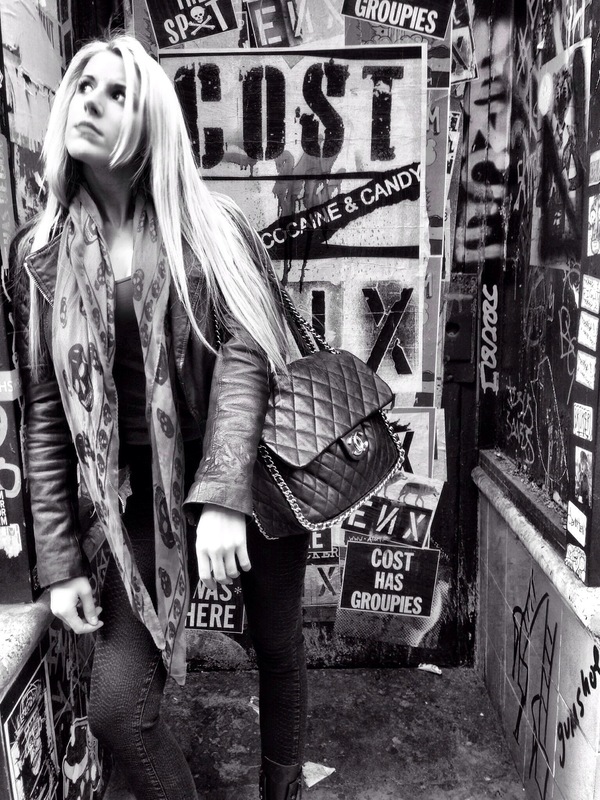 Today I am wearing: Chanel 3 bag, Louis Vuitton scarf, BCBG suede blazer, Aritzia leggings, and Christian Louboutin leather boots. Adding a statement scarf and light jacket can make any ordinary outfit on Monday seem better! (Not to mention there is nothing a holiday latte from Starbucks can’t help) Enjoy your Monday’s bloggers! 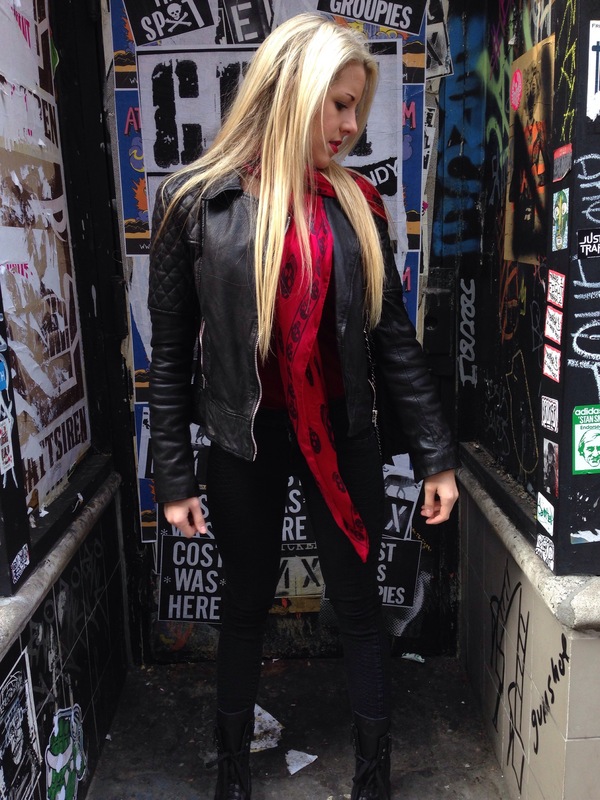 Walking around soho with in some street attire… I’m wearing a All Saints leather jacket, Alexander Mcqueen scarf, Chanel chain around bag, LF jeans, and Chanel combat boots! Button up bloggers it’s getting cold in the city that never sleeps! Zipped up in my Burberry winter coat!